1 Patriot Harley-Davidson Fairfax, Virginia. Full service event planning. Fairfax, VA.
6 KC Fairfax Federal Credit Union Kansas City. Kansas City. Serving members who live or work in Wyandotte County. Investment focus: seed and early-stage technology companies involving healthcare, software or the environment. Independent locally owned institution offers banking services for Fairfax and Loudoun County residents. Specializes in space planning, custom furniture and window treatments. Portfolio and business profile are shown. Located in Fairfax Station. Seniors, portrait and wedding photography. Fairfax. Provides program evaluation, information and human resources management consulting services to the Federal government and the private sector. Based in Fairfax, Virginia. Woman-owned graphic design studio specializing in advertisements, brochures, and logos. Unique, creative work at reasonable prices. Fairfax, Virginia. Fairfax and Manassass offices provide full range of accounting services. Includes company profile and service-bureau-supplied newsletter and financial tools. Virginia architectural firm with emphasis in medical and healthcare design provides firm overview, philosophy and information on projects and services. Offices in Fredericksburg and Fairfax. Full service including surveillance, criminal defense support, process serving, computer forensics, medical fraud and malpractice, DNS testing, and other services. Located in Fairfax. Located in Fairfax and Manassass. Services include business and individual taxes, accounting, auditing, estate planning, asset management, and consulting. Site has company profile, newsletter, and financial tools. A consulting firm specializing in security analysis and threat avoidance services including hacking, industrial espionage, information theft or sabotage, and physical threats to employees, facilities, and resources. Firm located in Fairfax, Virginia. Audio/video conversion and post-production studio located in Fairfax County, Virginia. Specializes in digital conversion and editing of home movies and corporate video and many other multimedia services. Located in Fairfax Virginia. Rich Crowley Wedding Photography is located in Northern Virginia and has been serving the Washington D.C. area for 26 years. Prints, posters and collectibles of Frank Frazetta fantasy artwork, Tolkien inspired artwork by Steve Hickman, Berni Wrightson illustrations, and animation art. Profiles of the artists. General information, training, apparatus, and membership information for Fairfax Citys volunteers. Serving the Fairfax area of northern Virginia for recreational and travel soccer. Register online, tournament information, and house and travel details. Youth soccer organization for travel players in western Fairfax County, including the Chantilly, Herndon, Fairfax, and Centreville areas. Fairfax, VA: Traditional Shaolin Hung Fut. Information about LASIK from this practice located in Fairfax, Virginia. Provides history, rules, roster, results, minutes, and news. Staff listings and contact information. Fairfax Station. Information on rowing, events, links, FAQs. Fairfax County-based football team containing youths between the ages of 13-16. Roster, coach profiles and schedule, located in Fairfax, Virginia. CPW - Fairfax, Virginia - Official site includes news, profiles, schedules, and results. News about alternative and complementary medicine published by Project Cure in Fairfax, Virginia. Qigong retreats and seminars. Certified instructors list. B.K. Frantzis, founder. Fairfax, CA. Learn more of their dogs and their future plans. Photographs, puppy news, and litter availability. Fairfax Station. Feline medicine, surgery and dentistry. Staff profiles, list of services, and driving directions. Girls U14 travel soccer team from Fairfax County. Includes photo albums and links. Girls U16 travel soccer team from Fairfax County. Includes photo albums and links. List of services including grooming and boarding, virtual tour, and pet care tips. Fairfax Station. Girls U13 travel soccer team in Chantilly, Fairfax County. Includes news, history, photos, sponsors, and related links. Girls U12 travel soccer team in Chantilly, Fairfax County. Includes news, history, photos, sponsors, and related links. Girls U11 travel soccer team in Chantilly, Fairfax County. Includes news, history, photos, sponsors, and related links. U12 Boys travel soccer team in Chantilly, Fairfax County. Includes news, history, photos, sponsors, and related links. Boys U15 travel soccer team in Chantilly, Fairfax County. Includes news, history, photos, sponsors, and related links. Girls U15 travel soccer team in Chantilly, Fairfax County. Includes news, history, photos, sponsors, and related links. Boys U14 travel soccer team in Fairfax County. Includes news, history, photos, sponsors, and related links. U13 boys travel soccer team in Fairfax County. Includes news, history, photos, sponsors, and related links. Boys U18 travel soccer team in Fairfax County. Includes news, history, photos, sponsors, and related links. Girls U14 travel soccer team in Fairfax County. Includes news, history, photos, sponsors, and related links. Boys U15 travel soccer team in Fairfax County. Includes news, history, photos, sponsors, and related links. Engine, Rescue and Medic 419. Contains photos of career staff and apparatus, department information, and how to get a free smoke detector. Boys U11 travel soccer team in Fairfax County. Includes news, history, photos, sponsors, and related links. Girls U17 travel soccer team in Centreville, Fairfax County. Includes news, history, photos, sponsors, and related links. Girls U14 travel soccer team from Fairfax County. Includes news, information, calendar, schedules, standings and photographs. Boys U14 travel soccer team from Fairfax County. Includes news, information, calendar, schedules, standings and photographs. Girls U13 travel soccer team from Fairfax County. Includes news, information, calendar, schedules, standings and photographs. Brewpub located in Fairfax, California. Tap list, menus, entertainment schedule, driving directions, press clippings, and merchandise. U16 boys travel soccer team in Fairfax County. Includes news, history, photos, sponsors, and related links. Girls U12 travel soccer team from Fairfax County. Includes news, information, calendar, schedules, standings and photographs. Fairfax, Virginia, United States, June, 1998. Includes program information, photos and commentaries. Girls fastpitch team from Northern Virginia. Girls fastpitch team from Fairfax County, Virginia. Jake Avancena provides acupuncture and Chinese herbology services in Herndon and Fairfax. Provider of infertility treatment and genetics services. Locations in Fairfax, Virginia and Gaithersburg, Maryland. Small animal practice in Fairfax. Office hours, staff profiles, and a list of services. Serving Fairfax County, Virginia. Contains unit links, event notices, resources, program information, and contacts. Youth football and cheer program serving ages 7-16 in Fairfax County. Includes schedule, photos, and forms. U16 girls travel soccer team in Fairfax County, Virginia. View news, calendar, schedules, standings, albums, sponsors, and related links. Overview of services, physician biography, patient information, and contact details. Special interests in urologic oncology and microsurgical vasectomy reversals. Located in Fairfax. Boys U11 travel team in Chantilly area of Fairfax County. Includes news, history, photos, sponsors, and related links. Girls U15 travel soccer team in Fairfax County. Includes team communications, photo albums, directions, and related links. Boys U13 travel team in Chantilly area of Fairfax County. Includes news, history, photos, sponsors, and related links. Girls U16 travel soccer team in Herndon, Fairfax County. Includes news, history, photos, sponsors, and related links. Girls U11 travel soccer team in Herndon, Fairfax County. Includes news, history, photos, sponsors, and related links. Girls U15 travel soccer team in Fairfax County. Includes news, schedules, history, photos, sponsors and related soccer links. Girls U14 travel soccer team in Chantilly area of Fairfax County. Includes news, history, photos, sponsors, and related links. U12 girls travel soccer team in Fairfax County. Includes news, schedules, history, photos, sponsors and related soccer links. Girls U15 travel soccer team in Chantilly area of Fairfax County. Includes news, history, photos, sponsors, and related links. Boys U13 travel soccer team in Fairfax County. View team news, history, photos, sponsors, schedules and standings and related links. Boys U14 travel soccer team in Fairfax County. View team news, history, photos, sponsors, schedules and standings and related links. Girls U14 travel soccer team in Fairfax County. View team news, history, photos, sponsors, schedules and standings and related links. The vascular and interventional associates consist of five board certified and fellowship trained physicians. The site provides information around physicians, directions and patient services. Boys U15 travel soccer team in Fairfax County. View team news, history, photos, sponsors, schedules and standings and related links. Provides family medical care and ob/gyn services, with overview, staff biographies, events calendar, and news. Located in Fairfax (Virginia), and Silver Spring (Maryland). Girls U11 travel team in Fairfax County, Virginia. Includes a schedule, current standings, photos, coaches page, history, ground crew photos and related links. Girls U12 travel team in Fairfax County, Virginia. Includes a schedule, current standings, photos, coaches page, history, ground crew photos and related links. Girls U14 travel team in Fairfax County, Virginia. Includes a schedule, current standings, photos, coaches page, history, ground crew photos and related links. A private club in Fairfax. Members have access to the golf course, clubhouse, winter-bubbled clay tennis courts, a swimming pool, and dining facilities. Site includes membership information. Equine veterinary service serving Northern Virginia and Maryland. Worming and vaccination schedules listed as well as staff information, links and current topics. Boys U16 travel team in Fairfax County, Virginia. Includes a game schedule, practice schedule, snack schedule, tournament info, summer camp, photos, and other related stuff. U13 girls travel soccer team representing the Chantilly Soccer Club (CSC), in Fairfax County. View news, schedules and standings, photos, sponsors, and related links. A Youth Soccer Club serving the Reston area of Fairfax County, Virginia for recreational and travel soccer teams. Colon hydrotherapy is a safeand effective method of removing waste from the large intestine, cleansing the body. I-ACT certified therapist uses equipment featuring a three-stage water filtration system. Boys U13 travel soccer team representing Herndon Youth Soccer (HYS) in Herndon, Fairfax County. Includes news, tryout details, contacts, sponsors, and related links. U18 boys travel team representing the Burke Athletic Club (BAC) in Fairfax County, Virginia. Includes practice and game schedules, snack schedule, tournament info, indoor soccer information, photos, and other related stuff. U14 girls travel team representing the Burke Athletic Club (BAC) in Fairfax County, Virginia. Includes practice and game schedules, snack schedule, tournament info, indoor soccer information, photos, and other related stuff. U13 girls travel team representing the Burke Athletic Club (BAC) in Fairfax County, Virginia. Includes practice and game schedules, snack schedule, tournament info, indoor soccer information, photos, and other related stuff. U16 girls travel team representing the Burke Athletic Club (BAC) in Fairfax County, Virginia. Includes practice and game schedules, snack schedule, tournament info, indoor soccer information, photos, and other related stuff. U12 boys travel team representing the Burke Athletic Club (BAC) in Fairfax County, Virginia. Includes practice and game schedules, snack schedule, tournament info, indoor soccer information, photos, and other related stuff. Girls U10 travel soccer team based in Fairfax representing the Braddock Road Youth Club (BRYC) Travel Soccer program. Girls U15 travel soccer team representing the Reston Soccer Association in Fairfax County. View team calendar, schedules, photos and related links. BRYC travel soccer of Fairfax County, Virginia. View news, important dates, teams, tryouts, registration, and manuals. A Youth Soccer Club serving the Great Falls area of Fairfax County, Virginia for recreational and travel soccer teams. TAP Futbol Club, home of ÃƒÂ¢Ã¢â€šÂ¬Ã…â€œTeam America PremierÃƒÂ¢Ã¢â€šÂ¬Ã‚Â� for talent identification and youth player development operates in Northern Virginia and Fairfax County. This unique club brings elite and premier level soccer to many talented youths in the metropolitan region. Located in Fairfax, the Center of Acupuncture and Integrative Medicine is the practice of Eugene Zhang, L. Ac. Certified reseller and solutions provider of FileNET Panagon. A computer forensics and legal technology firm located in Fairfax, Virginia. Provides image-based products and solutions for the data capture and forms processing. Design, e-commerce, Microsoft-based application development. Located in Fairfax, Virginia, United States. Provides expert computer professionals with various skill sets, including MultiValue/Pick databases. Located in Fairfax, Virginia, USA. Provides information management solutions for higher education, including Colleague and Benefactor systems running on IBM UniData database. Located in Fairfax, Virginia, USA. Offering web and graphic design, copywriting, interactive programming, e-commerce solutions, branding and marketing. Based in Fairfax in Virginia, United States. Providing software and systems solutions in forms processing and automated data capture, using scanning, imaging, OCR/ICR, form identification, data validation, EDI, database, and other technologies. HQ in Blacksburg, VA. Other offices in Fairfax (VA), and Atlanta (GA). Web site of Fairfax Royal Rangers at Fairfax Assembly of God. Has information about the program, news, a calendar of events, awards and useful links. located in fairfax. provides information about their merchandise, services and current obituaries. monitoring the censorship of australian writer and journalist helen darville by the fairfax media and their associates. 309 Fairfax Host Lions Club Fairfax, VA.
general practitioner based in fairfax. bankruptcy attorney based in fairfax. fairfax firm focusing on business and litigation matters. fairfax law firm specializing in all aspects of family and divorce law. fairfax firm focusing on family law matters. 318 VFW Post 8469 Fairfax City. Fairfax City. Contact information, and list of officers. personal injury and workers compensation attorney based in fairfax. general civil and criminal defense practice, based in fairfax. fairfax firm providing representation in domestic relations and family law matters. attorneys specializing in bankruptcy. several offices in fairfax county, virginia. fairfax general practice firm offering statewide services. Meets on the 3rd Wednesday, 7:30 PM, dinner at 6:30 PM. Announcements, officers and calendar. 328 New Hope Presbyterian Church Fairfax, Virginia. Fairfax, Virginia. Contact information, sermons and music, and images. fairfax law firm, offering services for serious personal injury and medical malpractice cases. fairfax attorney focusing exclusively on mediation, family law, equine law, estate planning, and alternative lifestyles. Fairfax retirement community for self-sufficient seniors. Includes floor plans of living spaces and a list of services. serving government contractors, small businessess, and professional service providers, from offices in fairfax and colorado springs. fairfax attorney offering services for matters including criminal defense, personal injury, business, family law, and estate planning. Ancestral history of Brian Edward Bowers from Fairfax, Virginia, USA. Activity and service schedules, news, contact information, directions, and resources for various ministries, missions and groups. Also has a 'Spiritual Spa' with meditative/devotional material. wedding planning and coordination for weddings in washington dc, virginia and maryland. services, credentials, and photo gallery. located in fairfax, va.
Christian based professional counselling and marriage and family therapy in Fairfax, Virginia. Provides FAQs Seminar and contact information. located in fairfax, this attorney practices primarily in the areas of family law, school law on behalf of disabled children, mental health, criminal defense, personal injury and juvenile law. 348 Shepherds Heart Fairfax, Virginia. Fairfax, Virginia. Includes schedule of services, information about Bible college, Bible study groups, leadership profiles, ministries, newsletter, and prayer. fairfax law firm offering representation for matters including bankruptcy, business, commercial tenancies, corporate law, personal injury, technology, traffic, and drunk driving defense, and registered agent services. Located in Fairfax, Virginia. Contains members information, rush, history, Push, events, pictures, alumni, links and members only section. Fairfax, Falls Church - Yoga classes, online store of videos, charts, books and audio for specific healing purposes. No-kill animal rescue/support group in Fairfax Station takes in and re-homes dogs and cats and provides support to seniors to keep companion animals. Adoption process and schedule, and how to help. Dance program for young children in Fairfax, Virginia: ballet, tap and jazz. Personal page, detailing her background and performances, of a Bharata Natyam danseuse and instructor in Fairfax VA.
Includes show and dinner theater cruise schedule, online ticket ordering, and information about their corporate team building exercises. Locations in eastern Massachusetts and Fairfax, Virginia. examples of work by club members devoted to the american cultural tradition of artistry and craftsmanship in woods. annual show held in october in fairfax, va. founded in 1973. Provides quality stage combat weapons for theatre and film. Established by Robb Hunter, an experienced fight director and certified teacher with the Society of American Fight Directors. Located in Fairfax, VA.
comprised of members from the fairfax and fredericksburg chapters, they perform traditional barbershop ballads along with todays contemporary hits, striving to achieve the best in todays barbershop sound. Find out about classical, pointe and variations, jazz, tap and modern dance classes. Also includes a schedule of performances, rehearsal schedule, and troupe photographs. Includes a schedule of performances, rehearsal schedule, and troupe photographs. Also offers information on classical, pointe and variations, jazz, tap and modern dance classes. SiteBook Fairfax City Portrait of Fairfax in California. 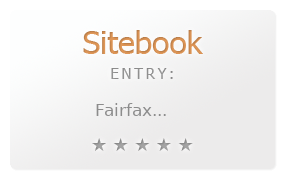 This Topic site Fairfax got a rating of 3 SiteBook.org Points according to the views of this profile site.